Large medium-color Amethyst in an "eye-catching" original design! Nice natural color-change Sapphire from Africa. This stone shows a good change from the purple to a bluish color. 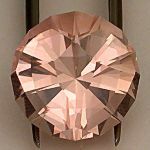 Perfect natural hot-pink Tunduru Spinel in a fancy apex design - Really hot and ready for your standard-size setting. 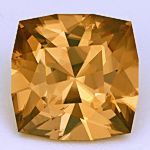 This stone is next-to-top color! This gem was finished with my Voodoo Polish. HUGE cabochon cut from blue-base precious Opal wht nice multi-color pinfire. HUGE cabochon cut from blue-base precious Opal with nice multi-color pinfire. 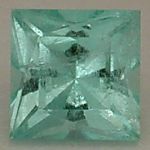 Untreated green (chrome) Beryl from Africa. This uncooked natural parti-colored Sapphire from Nigeria is cut in a unique fancy Freeform Barion design. 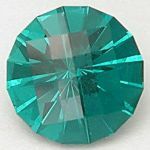 This gem shows sky blue in the center with yellow toward the ends. The colors shift around as the angle of view changes. This uncooked natural Sapphire from Nigeria is cut in a unique fancy Freeform Barion design. This gem shows deep, velvety-blue color throughout - which is very difficult to find in untreated material!